What's the difference between annuals and perennials? How can you remember the difference between annuals and perennials? Today’s Wonder of the Day was inspired by Eugene. Eugene Wonders, “Which flowers are annual and which flowers are seasonal” Thanks for WONDERing with us, Eugene! Have you ever noticed that some flowers need to be planted each spring, while others pop up all by themselves year after year? That's because some of them are annual plants and some are perennial plants. Annual plants are plants with a life cycle that lasts only one year. They grow from seed, bloom, produce seeds, and die in one growing season. They then need to be replanted each spring. Most annuals bloom for a long time. 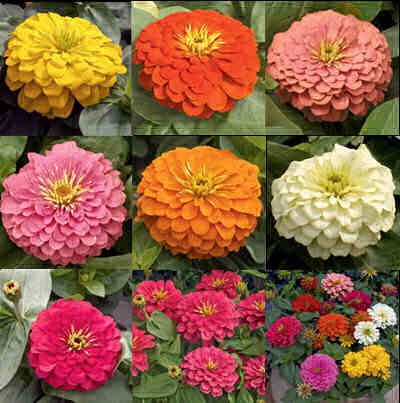 They provide beautiful colors from spring through fall and are popular with flower gardeners. Some favorite annuals are petunias, marigolds, and zinnias. Perennial plants live for more than two years. They return year after year and continue growing until they reach maturity, which varies by plant but averages three to five years. The term "perennial" refers to herbaceous (“green") plants since woody plants, such as trees, are perennial by definition. Unlike annuals, perennials tend to bloom for just a short time — one to three weeks — each year. Examples of popular perennial flowers include tulips, asters, black-eyed susans, and lilies. Perennials generally do not have to be replanted each year. However, some gardeners choose to replace certain perennials, such as the perennial flowers mentioned above, every three to five years if they start to decline. Hardier perennials might return year after year for 20 years or more. Perennials have structures, such as bulbs and rhizomes, that allow them to survive for many years. 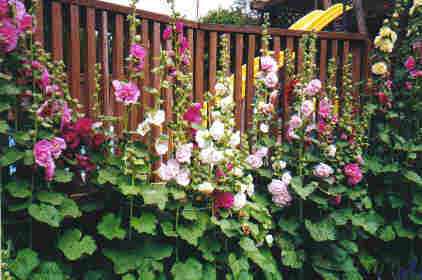 Perennials can be divided into two categories. Deciduous perennials, such as the perennial flowers mentioned above, grow part of the year and fall dormant the rest of the year. Evergreen perennials, such as pine trees, grow year round. Some people have a hard time remembering the proper term for each type of plant. Because annual means “yearly," some people think annual plants keep coming back each year on their own. Annual plants actually get their name because they only have a one-year life span. Perennials, on the other hand, come back year after year. Since they don't have to be planted each year, they're more permanent. Some people remember perennials by remembering that they're more permanent! Just when you think you understand the difference between annuals and perennials, though, you should know that there's yet another classification! Biennial plants have a two-year life cycle. They grow as green plants their first year, survive the winter, and then bloom the following year. After they bloom and produce seeds, biennial plants then die. 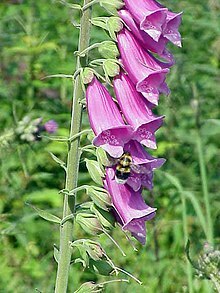 Examples of biennial plants include foxgloves and hollyhocks. Some plants that are perennials in their native region may be considered annuals in other regions. For example, snapdragon is a plant that may be a perennial in a warm climate where it can survive the winter but may be an annual in colder climates where it dies in the winter. These types of plants are sometimes called "half-hardy annuals" or "frost-tender perennials." We know you’re anxious to explore tomorrow’s Wonder of the Day, but just be cool. Go with the flow and we promise you’ll think it’s hot, hot, hot! Ask an adult family member or friend to take you on a field trip to a local botanical garden or gardening center. If you love plants and flowers, you'll love seeing all sorts of different types of annuals and perennials. It's also fun to learn about them from the experts that work at the gardens! Feel free to ask lots of questions. What types of flowers grow best in your area? Which are annuals and which are perennials? Do they need lots of sun or do they prefer shade? Do you need to do anything special to prepare the soil? If you're up for a challenge, plant your own backyard flower garden! You'll need a few supplies. These could include seeds, flowers, plants, and gardening tools or gloves. Pick out a spot in your backyard. Make sure it's an area where your flowers or plants will receive the right amount of water and sunlight. Follow any directions that came with the seeds or plants. You'll likely need to prepare the soil, dig a hole, and water your new garden. Have fun bringing life and color to your backyard with beautiful flowers! If you don't have a backyard or the weather won't allow you to plant one right now, don't worry! You can garden inside! With just a few simple materials, you can create your own container gardens in the garage, on the porch, or in the kitchen! We're happy to help. micheal! This Wonder talks about the two different types of plants: annuals and perennials. Annual plants have a life cycle that lasts only one year, and perennials live for more than two years. Perennials generally do not have to be replanted each year. Let us know if you have any more questions! Question about jewelweed, which in all my books is called an annual. Not only does the jewelweed where I live in Pennsylvania die off in winter, it spreads and comes back the next year even in areas where it gets pulled out or mowed. So is this plant still an annual? In our reading it is still classified as an annual. Great observations that you provided, though! Thanks for being a great Wonder Friend, Dean! I love this website I really mean it!!!!!!!!!!!! It's awesome!!! I know marigolds are one type of flower that mosquitos stay away from but what other plans deter the mosquitos from their target me. Marigolds only bloom in the fall so I need to know plants for spring and summer. Please help I am usually covered with bites every year. Is and orchid and annual? Good question! They are perennials. Thanks for checking out this Wonder with us, Cat! You were pretty close, Jonas! How did you like the one on lava? loved your video... where can we buy those bulbs for those various flowers? thank you! Thanks for the wonder! Now I know that my favorite plant, the gladiolus flower, is an annual plant. thanks for the great wonder, purple flowers are my favorite! Just found your "Wonderful" site and want to share it with my teachers, however, Vimeo is blocked by our state filter therefore, they will not be able to view the attached video. There are workarounds of course, but it would be so much easier to access here. Thanks for your site, I have placed your widget on my blog. Plants that need to be replanted each spring are called what? Plants with a two-year life cycle are called what? Perennial plants live for more than how many years?